Dave and I love downtowns. The shared energy of millions of people, the bold physical, spacial way in which this energy manifests itself, the chance encounters to which it leads. A common complaint about cities is that they alienate people both by pushing them up against each other and separating into individual units. But few among city residents are true loners. Making friends in a city takes some skill and patience--or a very cute baby, who will talk to anyone and will get anyone to talk to him. I've seen the most dour-looking middle-aged men light up when Bowie babbles in their direction or pokes them in the knees, elbows, or shoulders. True, in Tokyo rush hour even a cute baby will get tossed around and moshed with the crowd. 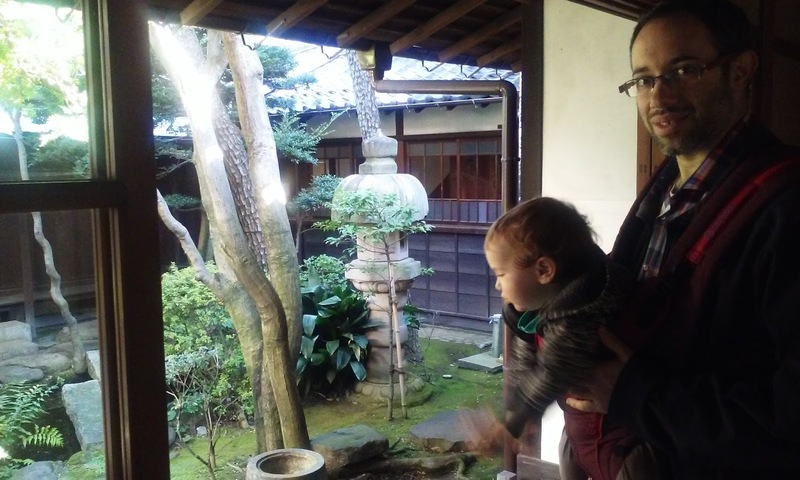 Getting ready for the trip to Tokyo, we asked around for a baby-friendly neighborhood where to book our accommodations. 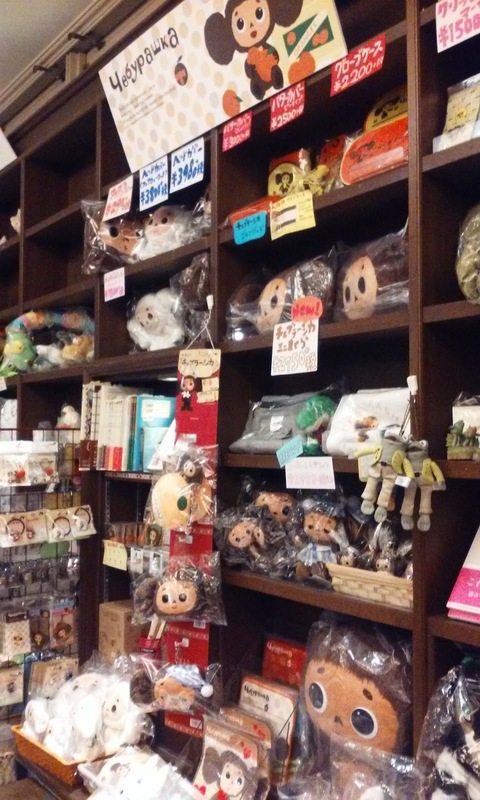 Our friends Megan and Ted, parents of baby Ella, recommended Shibuya-Daikanyama area. They'd spotted baby strollers and carriers here, cute baby stores and playgrounds, baby- (and parent-) friendly cafes. Megan, a fellow writer and book person, sold me on this neighborhood by describing and forwarding an article about a must-see bookstore, a location of a Japanese chain, Tsutaya. We booked our apartment as close as we could get (Ebisu, in Shibuya, next to Daikanyama). Bookstore culture appears to be going strong in Japan. 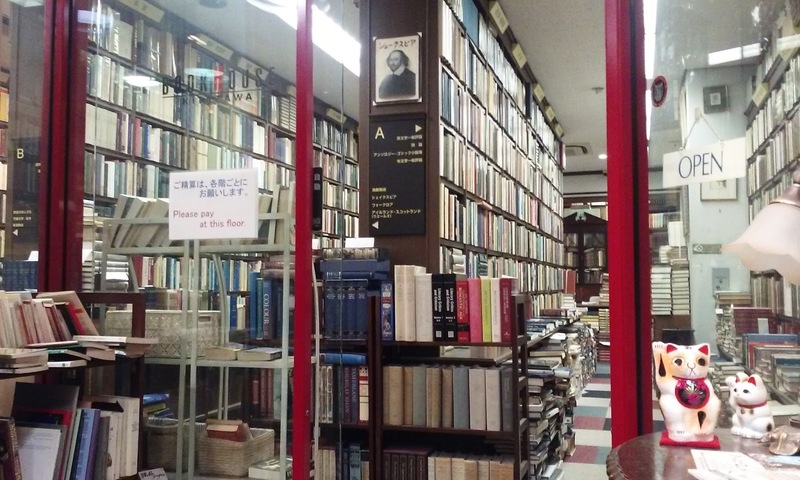 In one of our sightseeing afternoons, we explored an entire bookstore neighborhood, Jimbocho (for more in-depth view, see this and this English-language blogs). Located between several major universities, this area houses dozens upon dozens of used bookstores, manga comic book stores, book publishers, and multi-storied locations of national bookstore chains (there are several). Each of these stores, we assume, must own its specialty area. I spent some time in a foreign language bookstore, Kitazawa, that shared a building with a children's bookstore, giving me an opportunity to browse while Bowie and Dave played downstairs. 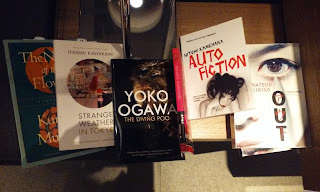 Looking at the shelves of dusty hardcovers, I imagined I'd found Haruki Murakami's reading list. Toni Morrison, Nabokov, Salinger, Ezra Pound, e.e. cummings--doesn't this sound just right? Yes, and Scarlett--Alexandra Ripley's fan fiction to Gone with the Wind (I was a big fan in my teens). Downstairs, Dave and Bowie located a whole shelf of Cheburashka and Crocodile Gena toys--popular Soviet cartoon characters, rights to whom had been purchased by a Japanese company a few years ago and successfully merchandised. I'd read of this; nevertheless, the encounter seemed surprising. Towards the end of our vacation, feeling more grounded and comfortable in Tokyo, Dave and I decided to split up during Bowie's nap time and venture out on our own. This allowed me an evening of browsing at that Daikanyama Tsutaya store (T-site) Megan had told me about. 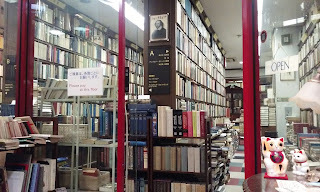 The bookstore consists of three cube-like two-storied buildings, connected to each other by a "magazine row"--an enormous collection of Japanese and international magazines. I spotted issues of MIT Technology Review and Lucky Peach, among others. 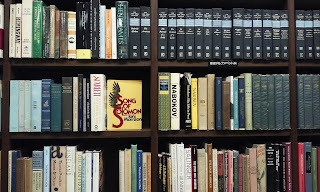 Most of my allotted time I spent studying the shelf dedicated to English-language translations of Japanese authors. I wanted to take home a book by a female author. This criteria narrowed my choices to half a dozen books (sigh). I ended up with Kuniko Mukoda's short story collection The Name of the Flower and Hiromi Kawakami's novel Strange Weather in Tokyo. I suppose, a book report must follow one day. The stories from The Name of the Flower I've read so far are as good in Tomone Matsumoto's translation as anything one might read in The New Yorker. The first few are stories about wives and lovers and sad businessmen who, though they might excel in their jobs, are cut off from their emotions, which causes family strife and general unhappiness. Besides bookstores, cafes, and boutiques, there are several interesting cultural sites in the Shibuya, of which we visited Meiji Shrine in the Yoyogi park and a 1919 traditional house of a local politician Kyu Asakura. After the firebombing of Tokyo (an extensive series of bombings at the end of WWII), much of the city was destroyed. What we see today was built after the war. These historical sites seem to be popular places of pilgrimage for the tourists and for the locals, who take the opportunity to dress in national costume and take pictures here for special occasions--like weddings. Dave has a photo on his blog. For us, Shibuya turned out to be a great choice of a neighborhood to stay. Not as busy as more central Tokyo locations, it provided lots of things to do with Bowie. Twice more we visited T-Site, the Tsutaya bookstore in Daikanyama: a good place to write our postcards while entertaining Bowie with pop up books. Though, it seems that good Japanese babies don't climb bookshelves while they are at it--and good Japanese parents don't let their babies climb the bookshelves. Bowie and I got reprimanded. The employees of the children's sections also seemed disturbed by Bowie's desire to nurse in public, so they showed us the way to the "baby room"--many stores, especially department stores, in Tokyo provide private places for nursing. I know, I know, "When in Rome Daikanyama..." Tsutaya, by the way, is a part of a larger conglomerate that goes by the name of Culture Convenience Club. I can easily imagine finding this name in a Murakami novel.